Every detail of this website is a direct indication of the time and thought process as to how to make a website that will entice players to sign up and play here of all the other choices out there. The professional layout and colour scheme help players to feel welcomed and like they are playing with one of the best options that is available. 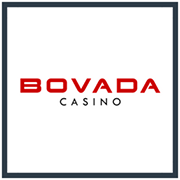 One of the things I enjoy most about the look of this casino is the overall layout, starting with a clever logo you have the panda’s face which at first glance, looks like a transitional crown. 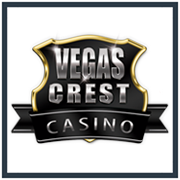 From there, you will see all of the necessary information to get started, you can choose to play now, check out the live casino, take in the promotions or even just explore the website. With the navigation aside, the lower portion of the screen features a scrolling set of images which give the players a look at the bonuses and the hottest games that are available. When it comes to the gaming that is available, players 18 and over will have access to the best software platforms available, combined NetEnt and Microgaming will give the players hundreds of different gaming styles to choose from. 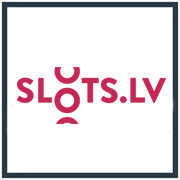 The gaming styles range from video slots, classic slots, roulette, blackjack, table games, video poker, a live casino and even more to choose from. Since both software platforms run off of instant play features, the brand does not require players to download the gaming at all, instead, they will find all of the fun right within their browser window. In addition to the instant play games, there is a mobile play platform which allows players to take a selection of the games on the go with them without having to sign up for a new account. Over on the live casino side of things, players will have games like Live Roulette, Live Blackjack, Immersive Roulette, Blackjack Party, Live Baccarat, Slingshot Auto Roulette, Live Casino Hold’em and Live Three Card Poker. Each of these different options will have a dealer in a live casino atmosphere to bridge the gap between playing at land-based casinos and playing from home. This unique feature is exclusive to select online casinos and has been very popular over the last few years. Heading over to the cashier section, players will have several different currencies and with the selection of language options, players will be able to tailor their gaming styles to make the atmosphere more comfortable. Since this casino caters to players from around the world, the brand makes it easier no matter where a player is from. The currencies that are available at Royal Panda Casino are; Czech Republic Korunas, Polish Ziotys, Swedish Kronor, US Dollars, British Pounds Sterling and many others. Players will have a list of more than 20 different ways to make deposits, most of them are instant and will even double as withdrawal methods. When collecting money via a cash-out, players should expect to wait 24 hours before the funds are released to the withdrawal method of choice, from there depending on the option chosen, players will have another waiting period between one hour and five business days to receive their winnings.